Sleepy Bub’s ‘Arms Down’ Rompers are made using 100% organic, soft, breathable cotton, suitable for all year round. 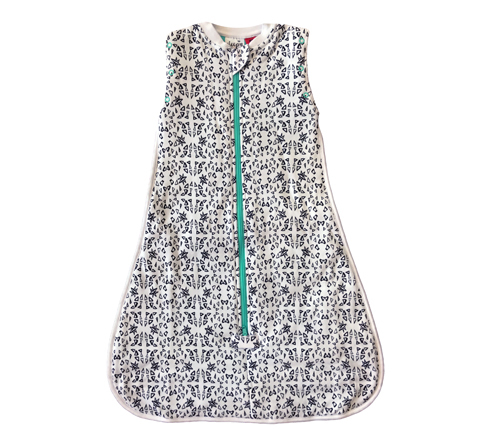 The YKK arm zips are positioned to gently hold your baby’s arms down at their side for swaddling all night long. 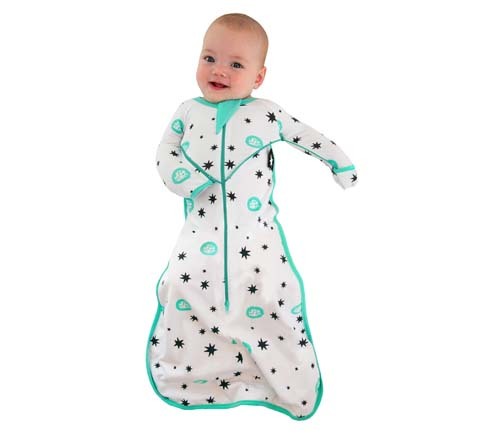 The stretchy fabric allows baby to have some movement, yet is restrictive enough to reduce waking from startle reflex. 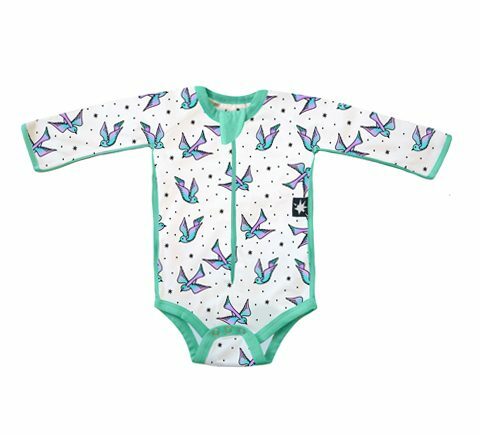 If your baby prefers to sleep with their arms swaddled in the ‘hands to heart’ position, we recommend the Sleepy Bub ‘Hands to Heart’ Romper. Sleepy Bub has made the important decision to start providing conscious choice 100% organic cotton swaddles – free from harmful chemicals, created in a fair trade environment.